Next up in our series of rhums arrangés is pineapple. 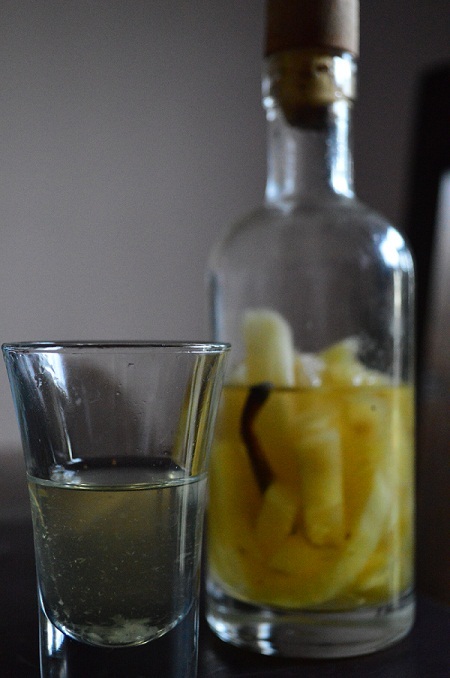 A simple combination of thinly sliced pineapple strips, a vanilla pod and a spoonful of golden granulated sugar added to a basic white rum. Left to infuse for a couple of weeks, the off shake here and there and on to the first taste. After the disappointment of the spiced rums we made at Christmas (too much spice basically), it seems we’re back on track. 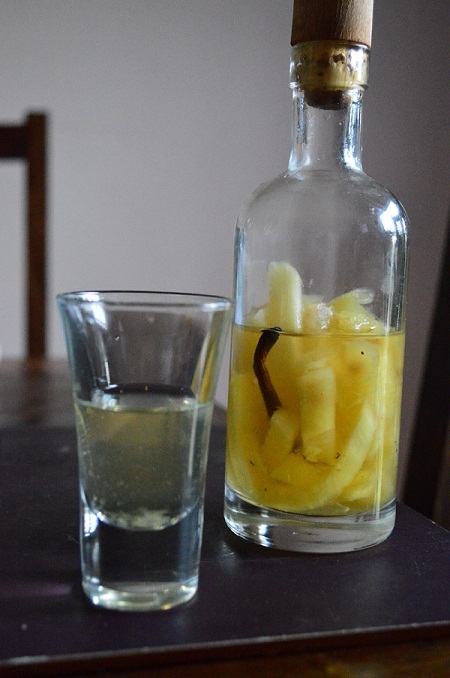 The flavour of the pineapple has really infused into the rum and the touch of vanilla and sugar takes away some of the alcoholic kick. Next on the list to try is mango…watch this space.